Bringing more than 24 years of experience in the field of media planning and buying to the Sherpa team, Koen started as a media buyer for international advertisers such as Unilever, Ikea and H&M. 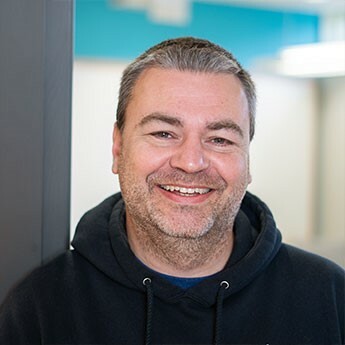 Combining experience at media buying agencies in Belgium with more than 14 years at agencies in Western Canada, Koen made the evolution from a traditional media buyer to a more sophisticated digital and traditional media planner and buyer. He’s had the opportunity to work with national, provincial and local clients in a broad range of sectors (e.g. agriculture, tourism, financial services, crown corporations, telecommunications, media companies). Koen is a strong believer in using fundamental and detailed media research to develop media strategies, which brings back his affinity for analytical tools. Media is a passion for him, but so is soccer (“the real football”) and Koen is an ambassador for Belgian favorites including beer, chocolate, Belgian fries and Bruges.